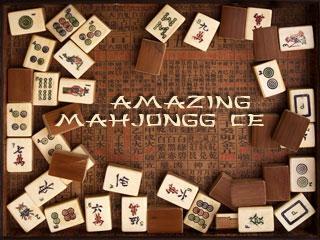 Amazing Mahjong CE is a puzzle game of Chinese origin dating over two thousand years. Amazing Mahjong CE has gained enormous popularity to become one of the world's most famous board games. The objective is simple, but so captivating - you must match sets of tiles together to clear them from the board. Amazing Mahjong CE gives you an opportunity to enjoy classic Mahjong game on your Pocket PC/Windows Mobile device. ...... You will never get tired of playing Amazing Mahjong CE game! * High resolution devices - Yes, Amazing Mahjong CE supports high resolution devices. * 100% clean - Amazing Mahjong CE downloads contain only our games and no other software. No files other than those required to run our games are installed. Amazing Kye is a series of visual puzzles, many of which are in motion. There are a lot of amazing clocks - on your desktop! Watch Amazing Clouds move to form different designs on your Desktop. Amazing 3D Aquarium creates a beautiful and wonderful underwater world for you. Qweas is providing links to Amazing Mahjongg CE 1.3.2 as a courtesy, and makes no representations regarding Amazing Mahjongg CE or any other applications or any information related thereto. Any questions, complaints or claims regarding this application Amazing Mahjongg CE 1.3.2 must be directed to the appropriate software vendor. You may click the publisher link of Amazing Mahjongg CE on the top of this page to get more details about the vendor.